The International Association of Fish Inspectors is pleased to announce that the winners of the IAFI Peter Howgate Award for 2017 are Ms.Hannah Antwi from Ghana and Mr.Giri Rohmad Barokah from Indonesia. These candidates will be supported by IAFI to attend the World Seafood Congress 2017 to be held in Reykjavik, Iceland, from 10-13th September 2017. The Award will cover travel, accommodation and the congress fee, and this will afford the winning applicants a career changing opportunity to gain insights and build networks in the global fishery sector. Hannah Antwi is 27 years of age, and comes from Elmina, a coastal fishing community in the Central Region of Ghana. 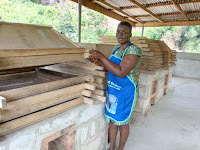 She is a Fishery Extension Agent with the Central and Western Fishmongers Improvement Association (CEWEFIA), a registered Ghanaian NGO that empowers rural and coastal fishmongers and processors to improve their socio-economic status and ensure the well-being of their children. CEWEFIA is committed to ensuring fish quality and processing among fishmongers and processors.Hannah, who studied at Takoradi Polytechnic, works closely with Ghana’s Ministry of Fisheries and Aquaculture Development (MOFAD) and donors to promote improved fuel-efficient fish smoking technologies and train small scale fish processors in improved quality, fish handling and processing practices in order to add value to fishery products, address health and economic concerns of the traditional method of processing fish, and enhance the quality of smoked fish for both local and international markets. 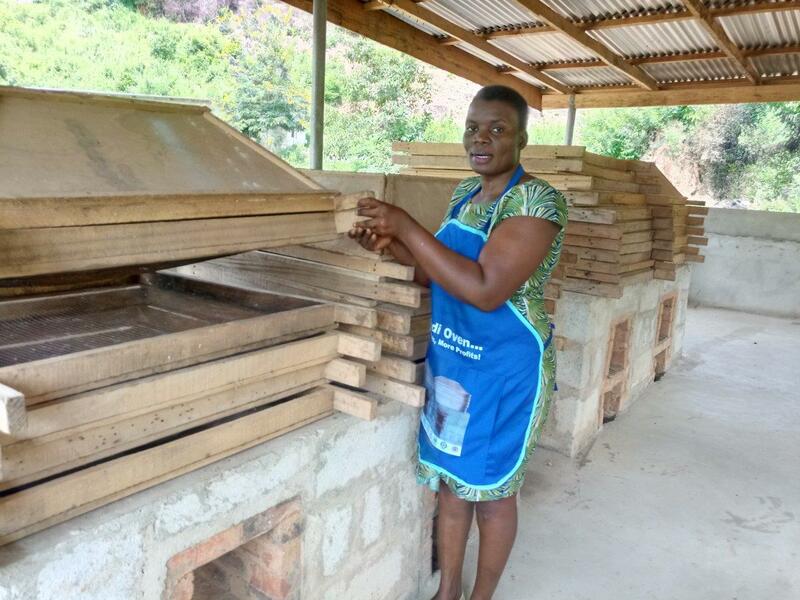 In the last three years, she has trained 450 persons from small scale enterprises, mostly run by women, in how to maintain the quality of their products, and in hygienic fish handling practices. Giri Rohmad Barokah, who is 26 years of age, obtained a BSc degree in Fisheries (majoring in Aquatic Product Technology) from Bogor Agricultural University in 2014. He now works at the Research and Development Centre for Marine and Fisheries Product Competitiveness and Biotechnology as a researcher in the Food Safety and Environment Research Group. The Centre provides scientific support to the Competent Authority in the Ministry of Marine Affairs and Fisheries for sanitary controls for the export of fishery products. Since he started work in the Centre he has undertaken a study regarding the illegal use of formaldehyde as a food additive to preserve fish and fishery products, and is seeking to differentiate this from natural production during the decay process. 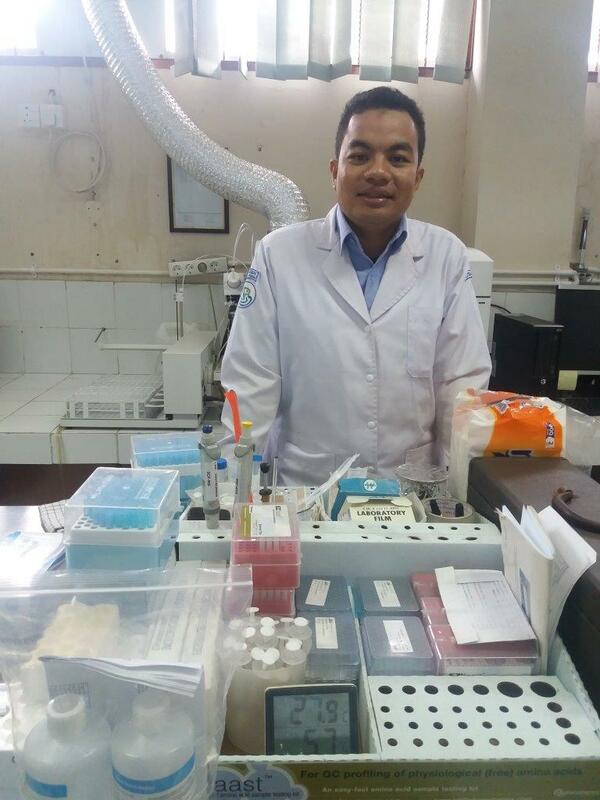 He is also a member of a research team assessing the extent of chemical, microbiological and parasite contamination risks in fishery products in Indonesia, as part of a national risk profiling and assessment exercise.